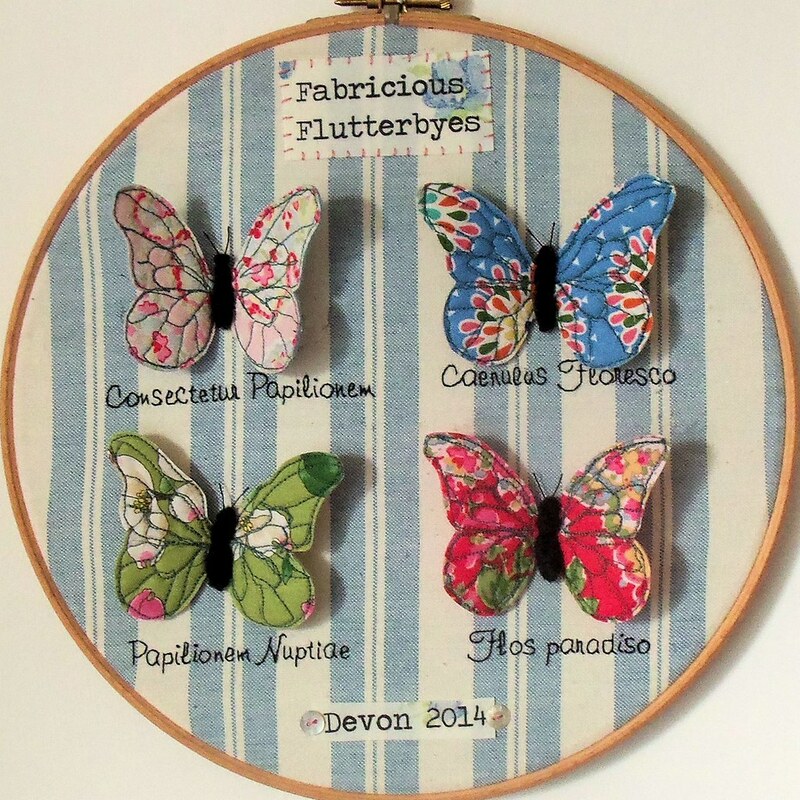 Spring is here – all year round with this hoopful of butterflies all labelled with their (spoof!) Latin names. Or why not make one as a brooch, add to a fascinator, or simply to perch on a lampshade, cushion or elsewhere in your home for a little touch of colour and whimsy? 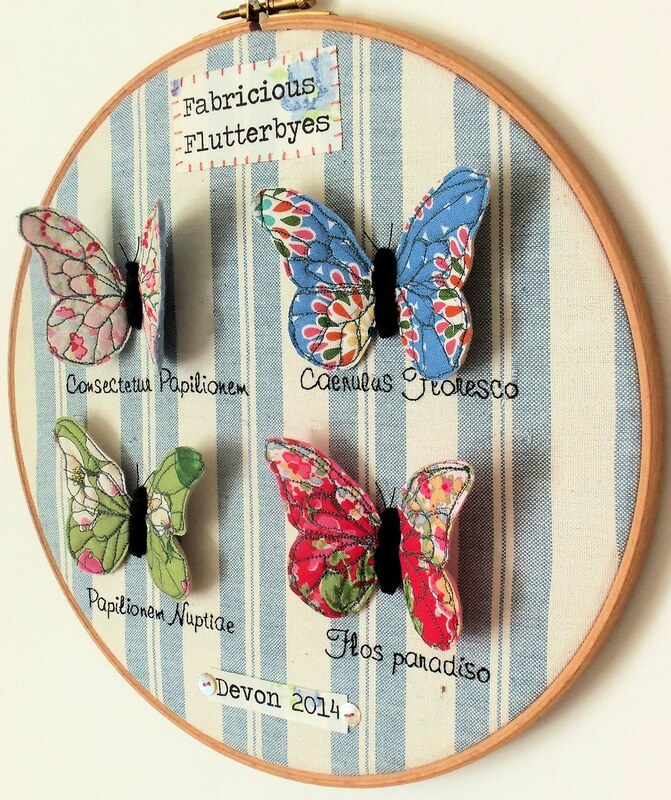 Butterflies are shown mounted in a 10” hoop.